Why the Surge in Demand for Travel Nurses? Every day, thousands of registered nurses travel the country to help hospitals and other healthcare facilities in need of experienced, temporary staff. 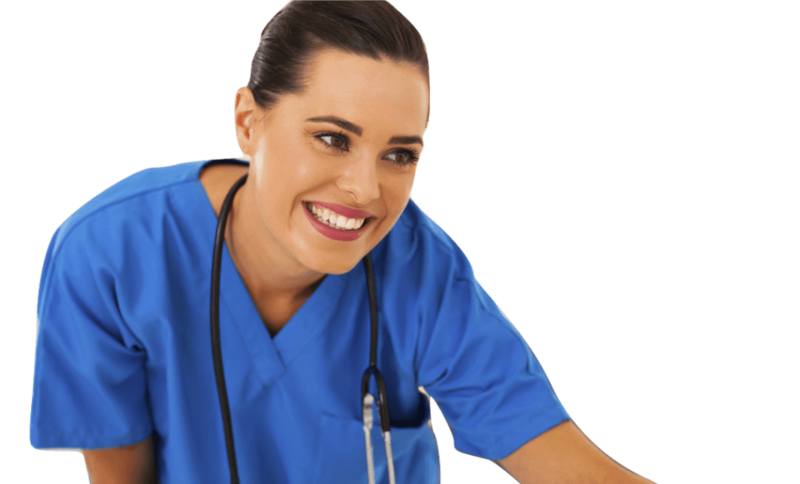 Travel nursing has quickly become one of the most in demand occupations among healthcare organizations. Healthcare organizations have seen a broad uptick in healthcare employment, which staffing agencies are riding, and it is estimated that the demand for nurses and other healthcare personnel is at its highest level since the mid-1990s. According to USA Today, at AMN Healthcare, the nation’s largest travel-nurse company, demand for nurses is up significantly in the past year. CEO Susan Salka told USA Today in an interview that orders from many hospitals have doubled or tripled in recent years, with much of the demand being concentrated in intensive care, emergency departments and other speciality areas. While there are multiple factors that led to the current demand surge, the introduction of the Affordable Care Act (ACA) has arguably been the most influential. The Health Resources and Services Administration (HRSA) recently published a report that provided a number of specific reasons for the projected shortage. While some of them are commonly known, others are less well known. Regardless, being familiar with each and every reason, regardless of how well known, can be very beneficial for understanding the surplus and the overall issue of increased healthcare demand. Increased employment opportunities for women is leading many to choose different career paths, while men are not adopting to the profession, which has traditionally gravitated towards women. Health systems are grappling with the nursing shortage in different ways. In San Diego, Scripps Health has over 400 open positions categorized as critical to patient care and nearly half of them are for RNs. Scripps combats the nursing shortage by heavily investing in development of existing staff through education and transition programs. In these programs, new nurses can work in one speciality for a year to get niche experience before being offered admission to a transition program so they can develop their expertise in other areas. In addition to transition programs, Scripps Health also conducts seasonal workforce planning to avoid shortages. Based on past hiring trends, Scripps Health determines when there are most likely to be shortages. The health system hires nurses to work during times of the year like holidays or flu season when there are typically massive surges in admissions and discharges. To go even further, Scripps has a “dedicated resource staffing group that floats between the system’s five acute care hospitals,” according to a Becker Hospital Review article. Scripps also holds weekly recruitment events to help fill internal registry positions and float positions. Overall, Scripps takes a multi-faceted and holistic approach to addressing the nursing shortage. By using multiple tactics, Scripps has multiple ways to solve the problem, which helps them avoid putting all their eggs in one basket when it comes to recruitment and retention. Another health system creatively solving the nursing shortage dilemma is Mission Health of Asheville, NC, according to Becker Hospital Review. Mission Health experiences unprecedented patient volume levels, which has created a nursing shortage that has caused the system to have to overly rely on travel nurses to fill staffing gaps. Overall, the system has about 260 open RN positions as well as 67 certified nursing assistant positions. To help fill open positions, Mission Health offers hearty sign-on bonuses of $5,000-$10,000. In order to receive a bonus, nurses must commit to a minimum length of employment. Additionally, Mission Health offers current employees a referral bonus of between $1,000 and $5,000, depending on the position. Mission Health has also partnered with other organizations, including Asheville-Buncombe Technical Community college to create a scholarship for people interested in becoming certified nursing assistants, which covers the full cost of certification to practice as a CNA. Mission health also has an RN liaison responsible for working with system recruiters to ensure the needs of various applicant pools are met. Mission Health also hired a vice president whose sole focus is working methodically with all departments by unit to identify hassles that affect nurses work. Once identified, the system can then develop mechanisms and tools to eliminate those hassles and bring back joy to the workplace. Having an adequate supply of nurses is essential because it allows America’s healthcare industry to better ensure access to affordable and high-quality healthcare. And, while the supply levels of nurses varies depending on geographic region, the general consensus across the industry is that there is a moderate shortage of RNs, but this is expected to grow in severity during the next 20 years. Organizations like the HRSA are working constantly to collect, analyze and disseminate health workforce information and facilitate national, state workforce planning efforts. If you’re a health care business owner, professional or employer who has been impacted by the nursing shortage, gaining a solid understanding of how other organizations are dealing it is a great first step towards developing your own contingency plan. Above all, the most effective tactic used by Mission Health and Scripps was their diversified approach to solving the shortage challenge. If you have to address a shortage within your organization, a good tip to remember is that it’s best to (constructively) attack the problem from every angle you can think of. And, if it hasn’t been tried before, that doesn’t necessarily mean it’s not a good idea. Don’t be afraid to get creative and embrace innovation.